Priscilla Namingha Nampeyo was a great-granddaughter of Nampeyo of Hano and granddaughter of Annie Healing, She was also a sister of Dextra Quotskuyva Nampeyo. 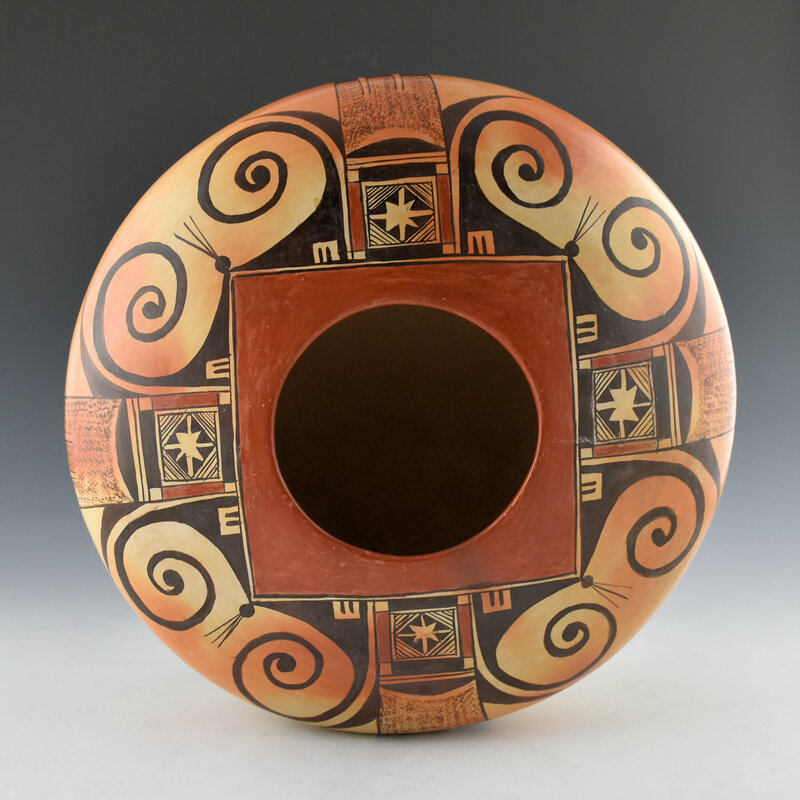 Priscilla was the matriarch of a family of renown potters, including Rachel, Bonnie, Nyla and Jean Sahmie. 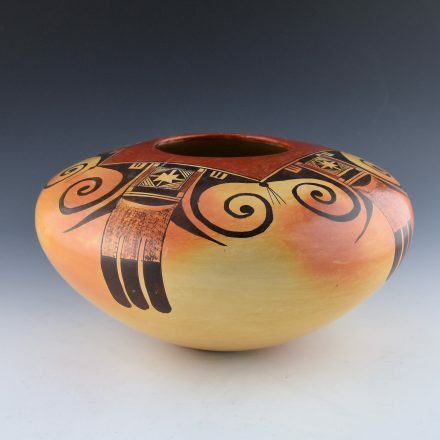 Priscilla began making pottery when she was only seven years old, under the guidance of Nampeyo of Hano. 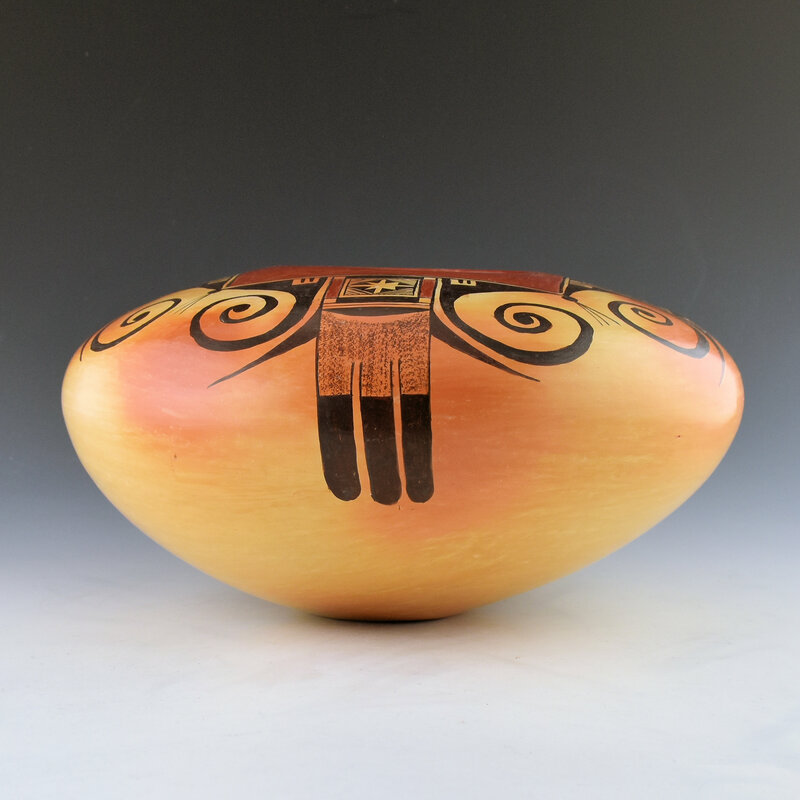 This large bowl is a classic of her style. It is thin walled and painted with the classic “eagle tail” pattern, which was made famous by Nampeyo. 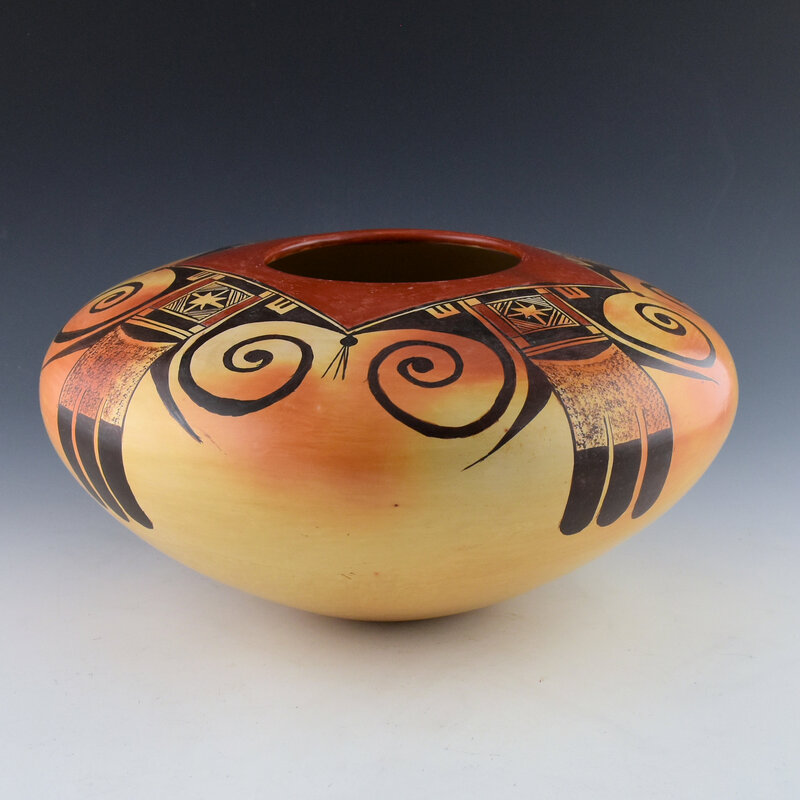 The top section is slipped with red clay while the design itself is painted with bee-weed (a plant) for the black. Each of the four eagle tails extends down over the shoulder and are surrounded by the bird wings. 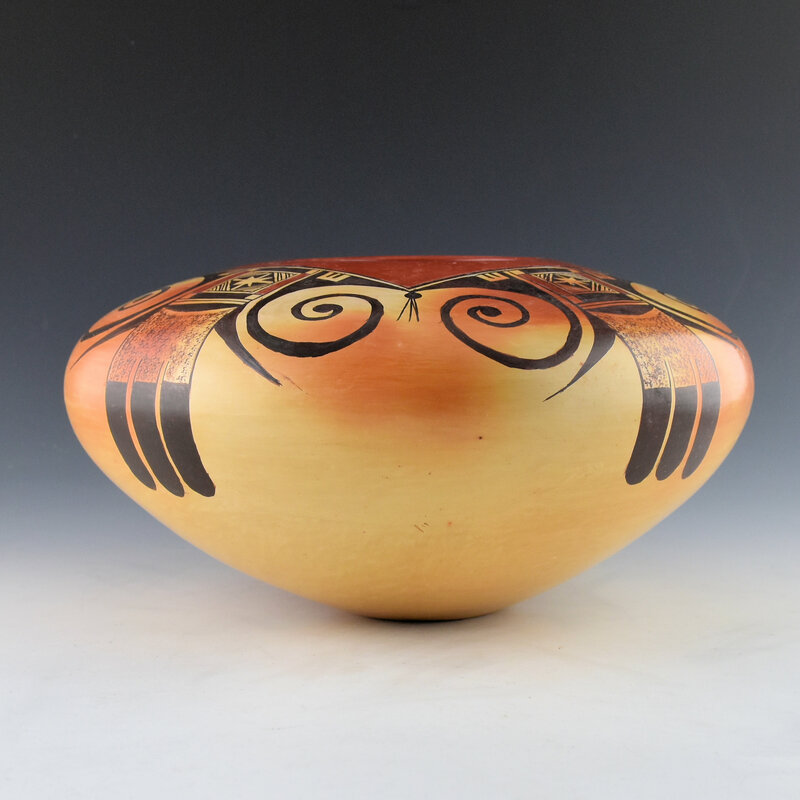 The bowl was traditionally fired, so there are striking blushes on the surface. Priscilla was known for her traditional designs along with the tightly painted designs. 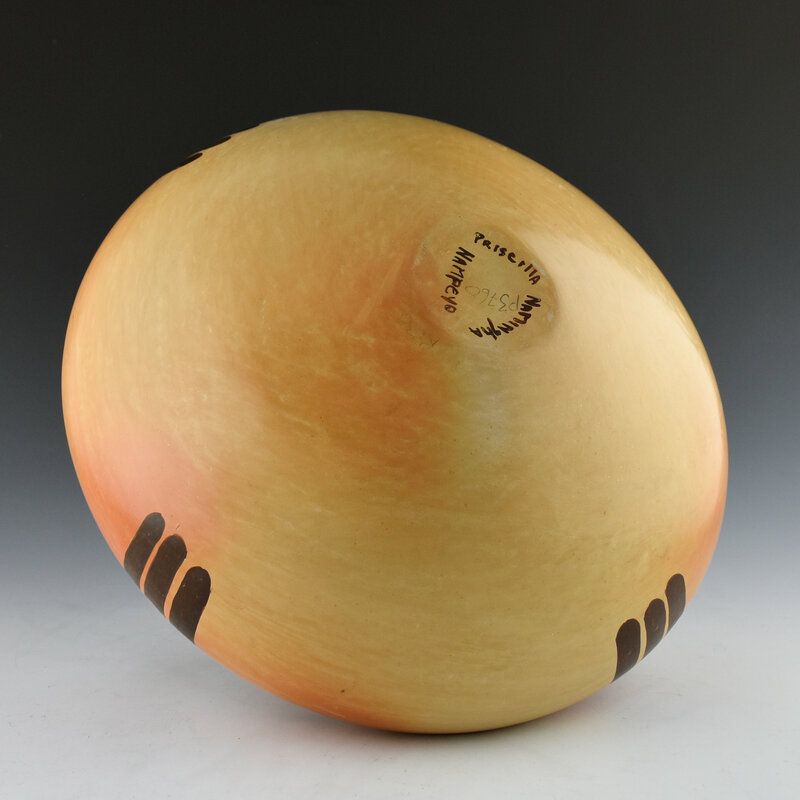 The bowl is signed on the bottom “Priscilla Namingha Nampeyo”. It is in excellent condition with no chips, cracks, restoration or repair. It is nice to see such a large and classic designed piece of her work in the gallery!